You’ve made a great choice in deciding to spend your college career at Middlebury, and we look forward to meeting you when you arrive. For most new students, MiddView starts with move-in day on Monday September 2, 2019. See the MiddView 2019 sidebar at right for exceptions. During MiddView, you’ll start to get to know people in your halls, meet with your advisor, register for classes and go on a MiddView Trip – a 3 day, 2 night orientation trip. While information about your Fall 2019 orientation is being posted as it becomes available, newly admitted students often find the previous year’s information a helpful reference. We've therefore left much of the 2018 content accessible in these pages. There are many things you have to do before you get here. You can access a checklist of these critical tasks here. Curious as to what MiddView really entails? 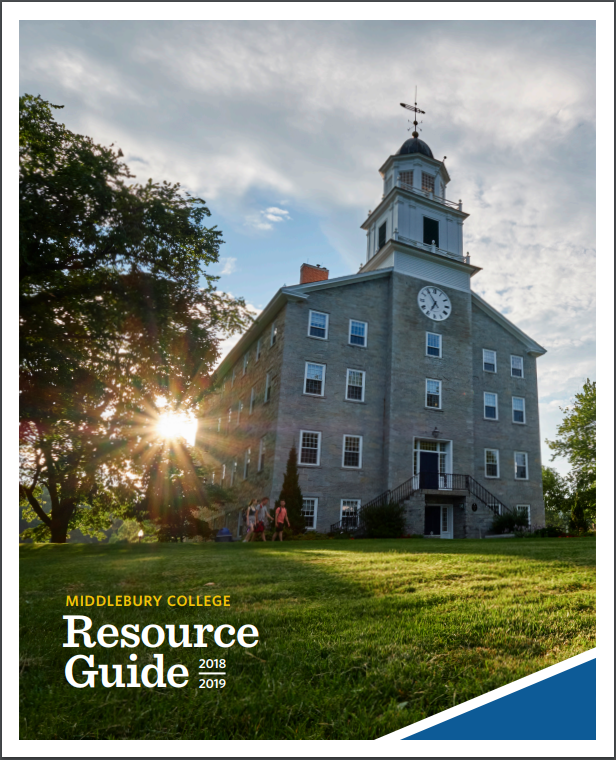 Anxious to know what you will be doing during your first week at Middlebury? Click on the link above for the 2019 MiddView schedules. You will receive several mailings from the College over the course of the next few months. We will post all of those documents here for easy reference. You will recieve the Middview 2019 Schedule and Guide upon your arrival at the start of orientation. For reference, download the MiddView 2018 Schedule here.